Congratulations to St Mary's Senior Golf team (Annabel Greham, Ellie McCormack and Maeve Rafter), who won the Connacht Schools Golf Championship in Tuam recently. They go forward to the All Ireland Schools Golf competition later this year. 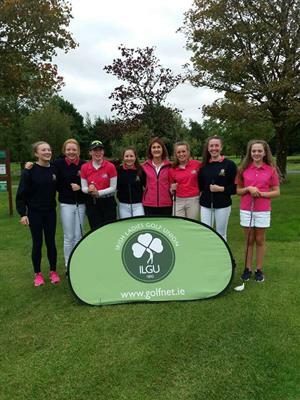 Our Junior team of Caroline Dodd,Anna Ruane and Aisling Mullarkey also played great golf on the day! Well done everyone and to your team captain Mrs Reynolds! Congratulations to our Transition year students who were the overall winners at the Mayo Enterprise awards with their mini company 'Worry Bears'! They're now off to the All Ireland's! Well done to our school choir who were invited to sing their internet sensation song 'Orphan Girl' at the Mayo Association of Dublin awards night recently.